Russian Railways speeding up travel around Russia. 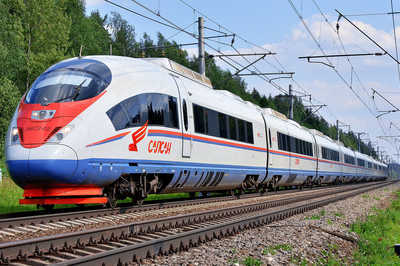 Russian Railways is currently upgrading the railway system in Russia to decrease travel time between cities. One of Russia major problems is in a lack of infrastructure, and due to the fact that Russia is such a large country it can take a week to travel from the West of Russia to the East. Russian Railways recently announced a plan to build a new high-speed railway betwen Moscow and Ekaterinburg in the Urals, as well as between Moscow and St. Petersburg. Currently the 1300km trip to Ekaterinburg from Moscow takes at least 25 hours by train, however Russian Railways says that time could be down to only seven hours by 2018! In addition, Russian Railways high-speed subsiduary boss Denis Muratove has said that a new 659km high-speed track will be built between Moscow and St. Petersburg, with a speed capacity of up to 400km/h. 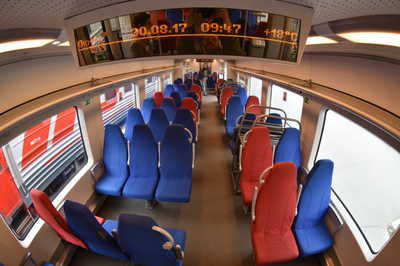 Russia already has the high-speed Sapsan train traveling between Moscow and St. Petersburg, which was launched in 2009, however it's speed capacity is only 250km/h. Russia hopes that to new line between Moscow and Ekaterinburg, which will connect nine federal districts, will have big impact of regional development and boost economic activity. Russian Railways has been very active lately with plans to significantly upgrad Russia's aging railway system, especially in light of Russia hosting both the Winter Olympics in 2014 and the World Cup in 2018! According to the calculations of the Infrastructure Economics Centre (IEC), the speed trains might become not only the fastest but also the cheapest means of transport for the distances up to 1000 kilometers. They IEC made their estimations based on the route from Moscow to Kazan. 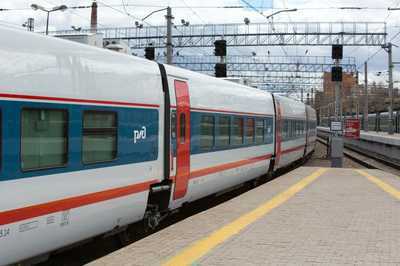 The high-speed trains "Lastochka" will connect the capital of the Karelia region — Sortavala and the gems of South Karelia: Mountain Park Ruskeala, Valaam Island, the waterfall "White Bridges" with St. Petersburg. On June 1st, 2015 a new high-speed train "Strizh" (translated as "Swift") will make its first trip on Moscow - Nizhny Novgorod line. The train's cars were made at PATENTES TALGO SL (Spain). The journey will take only 3 hours 35 minutes. Ticket sales will be opened in near future. Such announcement was made by vice-president of JSC "Russian Railways" - General Director of JSC "FPK" Mikhail Akulov. The new speed train № 41/42 will start operating on the route between Nizhny Novgorod and Novgorod Veliky on the daily basis. 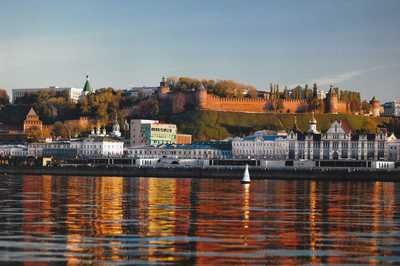 The departure will be taking place at 16:25 from Nizhny Novgorod, with arrival to the Novgorod Veliky on the next day at 06:24. From the Novgorod Veliky, the train will be leaving at 21:20 and will be arriving at the Nizhny Novgorod next day at 09:59.